Dionysia Triantafyllopoulou received her B.Sc. in Computer Science in 2005 and her M.Sc. in Communication Systems and Networks in 2007 from the Department of Informatics and Telecommunications at the University of Athens, Athens, Greece. In 2009 she received her Ph.D. from the same Department. Currently, she works as a researcher in the Green, Adaptive and Intelligent Networking Group, within the Communication Networks Laboratory of the Dept. of Informatics and Telecommunications. Dr. Triantafyllopoulou is also a member of IEEE. Her research interests include Cross-Layer Design, Cognitive Radio Networks, Mobility Management, and QoS provision in Wireless Networks. 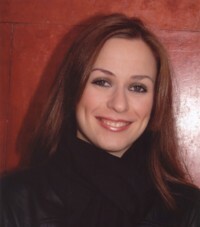 Since July 2011 Dr. Triantafyllopoulou is a Research Fellow within the Centre for Communication Systems Research (CCSR) of the University of Surrey, United Kingdom.